I've used CDN for Bootstrap, Font-awesome and Angular JS so you need internet connection for them to work. First, lets create our database and if you want, you can insert sample given data as well. 1. Open phpMyAdmin. 2. 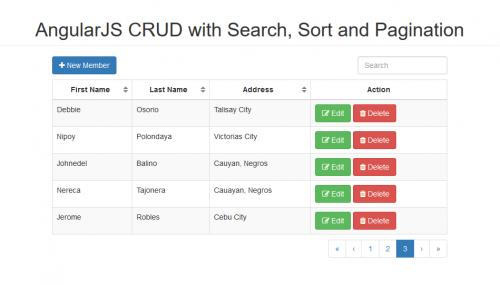 Click databases, create a database and name it as angular.